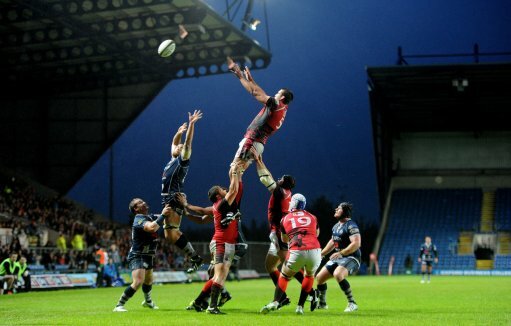 Welsh take a 19-point lead into Wednesday’s 2nd leg after a 27-8 victory over Bristol at the Kassam Stadium last week. Tries from Nathan Trevett, Nick Scott and Carl Kirwan, and 12 points from the boot of Gordon Ross, cancelled out Marco Mama’s early score for Bristol. In the backs, Alan Awcock starts at full back with Seb Stegmann moving to the right wing. Rhys Crane is named among the replacements. In the forwards, Mitch Lees returns to the side at blindside flanker to make his first appearance since Welsh’s win over Jersey on April 12. Richard Thorpe starts at Number 8. Club Captain Matt Corker makes his 199th appearance for the club. The Exiles’ previous visit to the Memorial Stadium this season saw them on the wrong end of a 25-21 scoreline on April 18. The home side led 22-0 at one stage, before Welsh finished strongly. London Welsh: 15. Alan Awcock, 14. Seb Stegmann, 13. Tom May* (C), 12. Seb Jewell, 11. Nick Scott, 10. Gordon Ross*, 9. Chris Cook, 1. Nathan Trevett, 2. Nathan Morris, 3. Peter Edwards, 4. Will Spencer, 5, Matt Corker, 6. Mitch Lees, 7. Carl Kirwan, 8. Richard Thorpe. Replacements: 16. Nathan Vella, 17. Tom Bristow, 18. James Tideswell, 19. Ben West, 20. Ollie Stedman, 21, Rob Lewis, 22. Rhys Crane. The pack's got to show whose in charge right from the off and keep the ball for extended periods in Bristol's half. Hopefully, Gordon's tactical nous, our defence and the weather will do the rest.